Social media websites are fantastic tools that allow us to share the joy of fabulous news from friends, family, and neighbors, whether birthday greetings, wishes for the New Year, or thanksgiving. We are able to sympathize with our companions when they share their sad stories. We see news stories that can be disturbing, like the Syrian chemical attack, flash floods, blazes in forests, horrors in prisons, violation of human rights... There is no question about it: advanced smartphone technology has played a key role in shaping the influence of social media. But unfortunately, this fantastic tool, despite its easy use and access, is not available to all the people of the world. In 2014, Reporters Without Borders designated 19 countries as "enemies of the internet" for actions ranging from social media censorship in Iran to North Korea walling its citizens off from the global web entirely. Despite the "enemies of the internet" designation of shame, only six countries actively block social media networks around the world. Iran is the leading country that blocks its citizens from accessing internet. In Iran, the internet and social media apps are heavily restricted and censored, because the government views any form of internet freedom as a threat to its mullah regime. Iran bars social media and internet, yet it has long been a battleground there between the jubilant Iranians who seek freedom and the authorities who feel they must protect the regime from dangerous influences that could topple it. Websites and social media have been blocked in Iran since huge antigovernment protests exploded after the disputed presidential election in 2009. 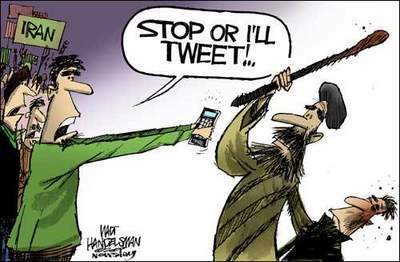 In the absence of a free and unrestrained press in Iran, users inside the country utilize Twitter to bypass state censorship mechanisms and challenge government narratives aiming at concealing the brutality of the government's violent crackdown on the protesters. They also use a social media app called Telegram to discuss news and politics. According to the recent report by the National Council of Resistance of Iran, as the regime in Iran faces a variety of crises, the deputy public prosecutor said concerns about cyberspace have become extremely worrisome for Tehran. Iranian supreme leader Ali Khamenei is cited in this report as saying, in his usual violent language, that cyberspace is the "killing ground" of the country's youth, in reality meaning that this is where they learn the truth about the regime ruling Iran. The mullahs claim to be concerned about the youth and Islamic values and how cyberspace activities and social media undermine them, but the reality is, they are thinking of themselves. With all the media assets at its disposal, why can't the regime properly confront this threat? The truth is that concerns about "religion and faith" are not the regime's concerns, as its own officials have in interviews acknowledged the fact that improper posts are blocked by Telegram administrators. "More than 30% of these Telegram channels are involved in criminal activities against the country's security and disrupting the entire nation," said Iran's deputy public prosecutor, Abdolsamad Khoramabadi. 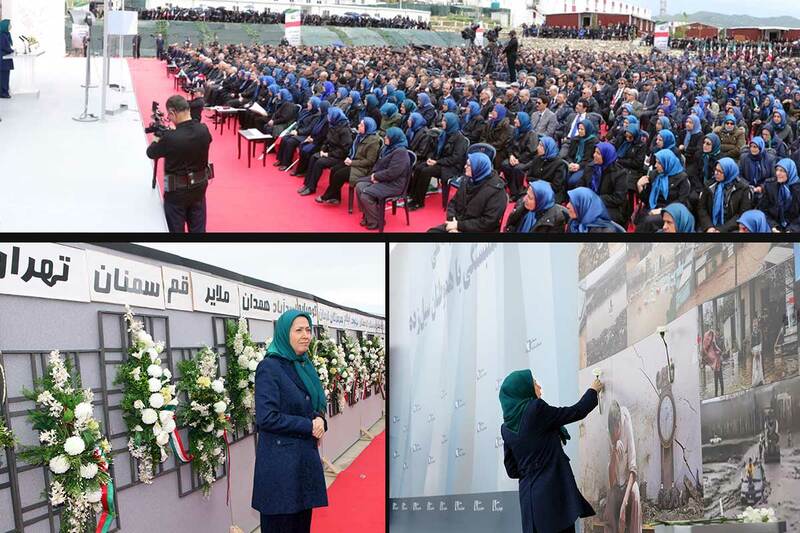 Of course, the main target of these remarks are the Telegram channels belonging to the Iranian opposition People's Mojahedin Organization of Iran (PMOI/MEK). "[W]e are left incapable on the internet. The supreme leader has said time and again that this cyberspace is uncontrollable. ... [I]t is unacceptable to have 8,000 orders in this regard and not being able to do anything," Khoramabadi said. 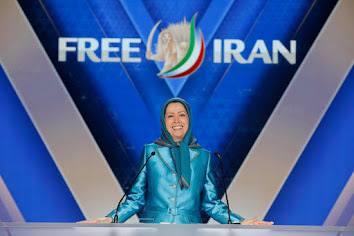 This official also admits that the MEK will continue its activities even without Telegram, yet this platform has provided the MEK the means to accelerate the pace of its efforts. In addition to speed, the Iranian people having access to MEK criteria has left the regime terrified. "The MEK Telegram channel inside Iran is very active[.] ... [A]ll the regime's opponents are providing the people all their books and written material through this online platform. If you seek to purchase them, you have to pay huge amounts of money. If you wanted to publish a book, it would be very demanding, but on the internet, it is quite easy," Khoramabadi added. While the Iranian regime can completely block these websites, why has this issue reached the media? The regime in Tehran is truly facing an impasse in the face of Telegram. It can't completely block the website, as it needs the platform for its own purposes, and it also cannot block only certain channels. If Iran blocks Telegram in its entirety, it will come with heavy political and social impacts, leaving this regime facing 40 million angry users. Furthermore, this will not resolve the entire issue, and these users will most certainly find another platform. The Iranian regime has time and again negotiated with Telegram's managers to block the MEK website and associated channels, only to be rejected each time. This has left Tehran facing an impasse. Either accept the MEK's vast network with all its grave consequences, or pay the ultimate price of blocking Telegram. The latter would raise even more questions.